One of the rules of thumb we have found is that when companies post too often on Facebook their posts are actually seen less. Posting on Facebook Pages is different than posting on your normal status. 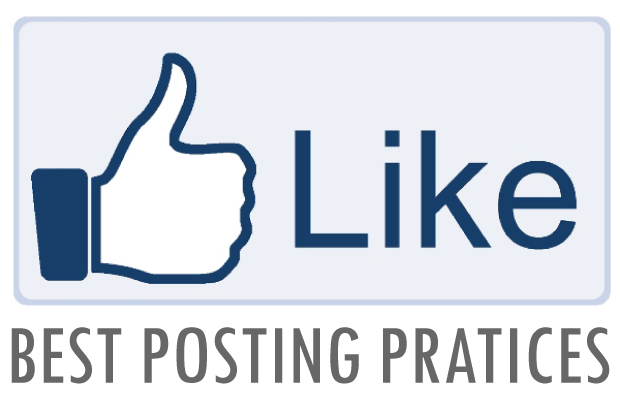 Depending on how many likes, comments, or shares your post gets the more Facebook will show your post on your Facebook Page to your followers. The majority of businesses that saw the most viral posts are businesses that post every 2-3 days. Facebook makes it easy to schedule posts so you can post multiple posts at one time. The best time to post on Facebook is before noon and after five. So when you are scheduling posts make sure you take that into account. The best day during the week to post is Wednesday. The best day to post during the weekend is Sunday. You might not think that Sunday would be a good business day but there are less posts on Sunday so you have a better chance of having your posts seen. Keep your posts short. 1-3 lines of text is all you need. Posts that are over 4 lines aren’t read as often and it’s harder for them to go viral. Also pictures can do your posts wonders. Any time you can add a picture to your posts would be a good idea. That way it will be shared, liked, or commented on more than just plain text. Let’s look at the kinds of post you can put on Facebook and what the best format to post your content is. First we will start with the very worst kind you can post. Posting just links to your content, either a blog post or a link to your website is the worst kind of post you can make. It won’t get clicked on and won’t get viewed by many of your followers. Not far behind that is videos. Videos take longer to watch and don’t get shared near as often as other kinds of posts. Highlighting posts should only be used for super important content and even then should be used sparingly. About 2/3 of all posts that go viral have pictures. So having a picture on your post is a must. So how can you improve on posts with a picture? Post with multiple pictures. Having a gallery of pictures get shared even more than posts with just one picture. The very best kind of post that goes viral is surveys. Not only do surveys obtain the most shares, they also give you great insight to your followers. So what can we learn from all this data? It’s important to keep your posts simple, concise, and have some emotion to them. If your posts strike at your followers emotional sentiment they are share, liked, and commented on more which means these posts will be seen not only by more of your followers, but by all of their friends as well. You can have a post be seen by 10 times your followers. ← Why Did My Website Get De-Indexed?